The Ibizan rural hotel has received a new honour thanks to the quality and distinction of its fully customised services and facilities. 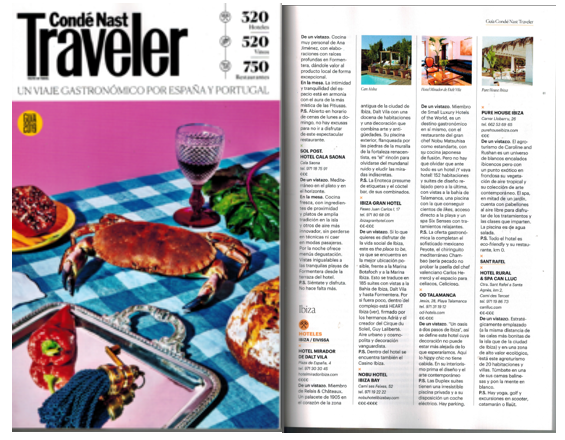 The prestigious magazine “Condé Nast Traveler” has singled out this exclusive Ibizan agritourism hotel as one of its favourite places to stay in 2019. It is a badge of honour that comes hot on the heels of other accolades which over the years have positioned Can Lluc within the parameters of quality, sophistication and exclusivity. 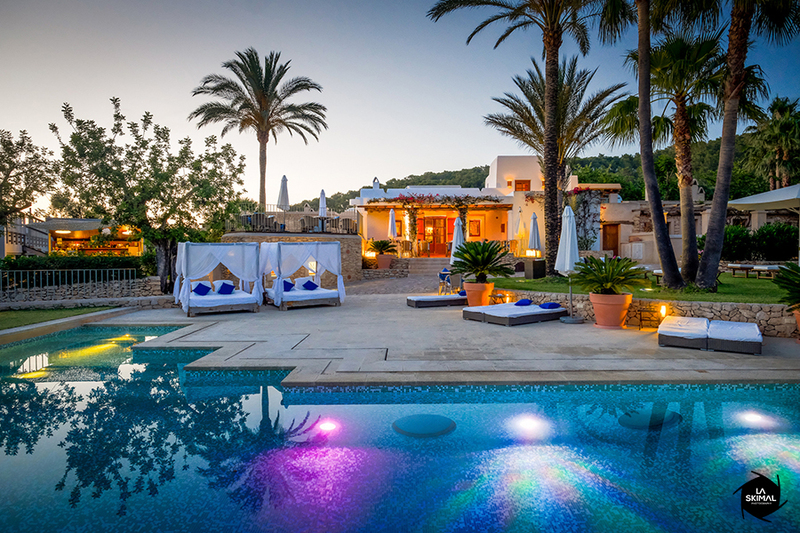 All set in an environment of rural luxury, with the Mediterranean in the background and only 10 minutes by car from the centre of Ibiza. Among the vast portfolio of key tourist brands that have honoured Can Lluc, the TripAdvisor Certificate of Excellence, awarded in consecutive years, and the Condé Nast Traveler Gold List 2014 award stand out particularly, as do the Compromiso de Calidad Turística (Tourism Quality Commitment) seal, and the seal of Balearic Quality awarded by the Government of the Balearic Islands. Can Lluc continues to be a comprehensive experience, which offers its guests the most exclusive services, whether in health, luxury, sport, gastronomy or nature. The Condé Nast Traveler has sought to particularly highlight the range of sports it offers, which includes the chance to practice yoga, play golf, take scooter trips or discover the Mediterranean in a catamaran or llaut boat.